SWITZERLAND, Zurich — Unable to stage a school-related terror attack in America, it now appears that the CIA in Switzerland is plotting a school-related terror attack in Europe, namely Germany. The attack will likely be executed by the terror group ISIS which was reportedly trained at a U.S. military base in Jordan. Exactly what type of school-related terror attack is planned for Germany is not known, but it will likely involve a gun-related massacre, beheadings, conventional bombings, suicide bombings, and/or a school siege and hostage crisis. Back on March 13, 2015, a German court ruled that Muslim teachers in Germany may now wear headscarves in class, so long as it does not cause a disruption. The timely report was designed to associate Muslims with German schools just prior to a staged attack that will be blamed on Muslim extremists. Roughly a week later on March 19, 2015, it was reported that a World War II bomb was found by construction workers preparing to build an elementary school near Nuremburg, Germany. The report was designed to associate German schools with bombs just prior to an Islamic terror attack. In what appears to be a Roman-like blood sacrifice to a successful school-related terror attack in Germany, 16 German students were killed in a plane crash on March 24, 2015, when the Swiss CIA allegedly brought down the Germanwings A320 over the French Alps. In order to highlight the state-sponsored terror group ISIS along with German school children just prior to a staged attack, Russia Today published a report on March 29, 2015, entitled “70 Women, Including 9 schoolgirls, Left Germany to Join ISIS”. That same day, March 29, 2015, it was also reported that a far-right march in Germany was co-opted by a group of activists tried to attack “Hooligans Against Salafists”, a CIA-funded group who is openly against fundamental Islamists living in Europe. The CIA-funded activists were evidently instructed to attack the controversial “Hooligans Against Salafists” in order to highlight Muslim extremists in Germany just prior to a state-sponsored Islamic terror attack that will likely kill hundreds of innocent children. Less than 24-hours later on March 30, 2015, it was reported that British students voted overwhelmingly to boycott Israel goods over the Gaza apartheid. The timely report was designed to highlight European school children just prior to an Islamic terror attack. In order to set the precedent for an Islamic school-related terror attack, a number of alleged attacks have taken place as of late. For example, on December 16, 2014, the Taliban reportedly stormed a Pakistan school, killing 126 people, mostly children. Although only conjecture, it’s highly likely that the attack was executed by a drone and scapegoated onto the Taliban which is notoriously against the U.S. occupation of Afghanistan. That same day, December 16, 2014, it was also reported that an Al Qaeda car bomb meant for Houthi militants killed 20 children in Yemen. Similar to the school attack in Pakistan, the attack in Yemen appears to have been executed by the CIA whose primary terror arms are Al Qaeda and ISIS. In order to set the precedent for a school-related attack by ISIS, it was reported on December 12, 2014, that ISIS terrorists behead four children in Iraq for refusing to denounce Jesus and convert to Islam. Needless to say, the attack is a preview of things to come. 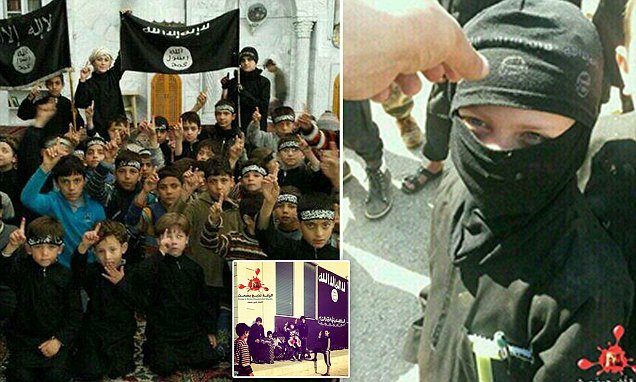 To associate ISIS with children just prior to a state-sponsored school attack by ISIS terrorist which were admittedly trained at a U.S. military base in Jordan, new photographs were released on December 8, 2014, showing a new ISIS terrorist school in Syria where children soldiers known as “Caliphate Cubs” are trained to kill. In what appears to be pre-school terror propaganda, it was reported on October 6, 2014, that a mass grave of 43 students was found in Mexico. Whether the students in question were executed as claimed is not known, but it has set the precedent for school-related terror nonetheless. Less than 24-hours later on October 7, 2014, it was reported that a play about the Columbine school shooting in Colorado will be opening in New York. Needless to say, the timely play about America’s worst school massacre was designed to coincide with another state-sponsored act of school terror. Roughly 3-weeks later on October 22, 2014, it was reported that 3 teenager girls from the U.S. played hooky from school to join ISIS. The report was evidently fabricated in order to associate schools with known terrorists just prior to a school-related attack. That same day, October 22, 2014, it was reported that Northeast Pennsylvania schools reopened after an Eric Frein sighting. The report highlighted a known domestic terrorist along with the closing of schools, something which would obviously occur in the aftermath of an attack. 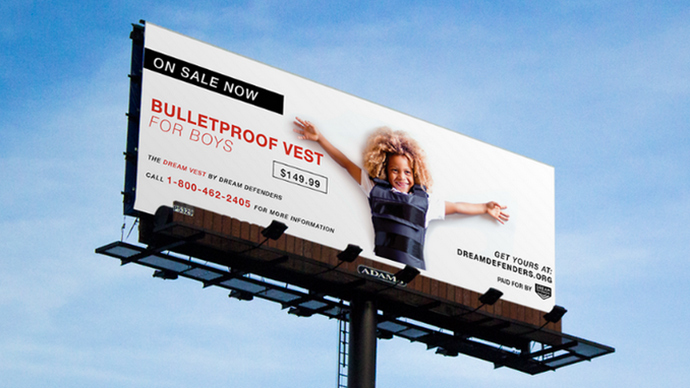 Less than 24-hours later on October 23, 2014, a billboard depicting bulletproof vests for children of color was reported in Florida. The timely ad was likely spawned by the CIA to foreshadow the notion of a “race war”-like school attack in the Sunshine State. A day later on October 24, 2014, 2 students were killed and 4 wounded in a Washington State school shooting. Considering that CNN confirmed that a SWAT team drilled at the school a day prior to the shooting, the attack was most likely state-sponsored in nature. Four days later on October 28, 2014, a student reportedly shot and killed his teacher in Estonia. The attack, if it indeed occurred, was likely executed at the behest of the CIA in order to program Europe as well as the rest of the world for the impending school-related terror attack. In order to foreshadow a school-massacre, it was reported on November 6, 2014, that a Maryland teen was too drunk to carry out school massacre. Needless to say, the incident was likely staged in order to set the precedent for a copy-cat-like attack in another state. Less than 24-hours later on November 7, 2014, it was reported that the FBI impersonated an AP reporter in 2007 to catch high school bomb suspect. Aside from the fact that the FBI is lying, the incident allegedly occurred 7-years ago which is highly suspect. In other words, it’s old news and is only being re-reported in order to foreshadow a high school bombing. A day later on November 8, 2014, it was reported that a 4th Marysville school shooting victim died. Whether the report is true is not known, but it has put school shooting back in the national spotlight just prior to another school-related attack. Two days later on November 10, 2014, it was reported that teenagers from a middle school in North Carolina were charged after bringing “pipe bomb” to school. The incident further highlighted school-related terror just prior to a state-sponsored terror attack, most likely in the South. Also on November 10, 2014, 47 people were reportedly killed in a bombing outside a Nigerian school. Considering that the state-sponsored terror group known as Boko Haram claimed responsibility, the attack may have been a drone strike passed off as a suicide bombing. Two days later on November 12, 2014, a Massachusetts school reportedly installed a “Shooter Detection System”. Needless to say, the timely report was designed to foreshadow a school-related massacre in the United States. A day later on November 13, 2014, British Prime Minister Cameron called for extremism to be rooted out of schools. The timely comments were designed to foreshadow a school-related terror attack by Islamic extremists, either in the UK or US. In what appears to be pre-school bio-terror programming, it was reported on November 17, 2014, that 15 students were hospitalized after heavy fumes engulfed a cheerleader charter bus. The incident has set the precedent for a bio-chemical attack on either a school bus or school-related entity. That same day, November 17, 2014, a student in angry clown mask reportedly “wildly” waved a butcher knife in the school cafeteria. The timely incident was likely staged in order to foreshadow a school-related attack by a person or persons wearing a mask. The notion of a school-related bio-terror pandemic outbreak was just witnessed a day prior on November 20, 2014, when a “kissing disease “outbreak closed an entire school district in Oklahoma. In the wake of a school bus-related bio-attack, the outbreak will be fostered by the use of tainted vaccines, killing thousands. In what appears to be pre-Islamic school terror attack propaganda, Yahoo News published a report on December 3, 2014, entitled “Jewish-Arab School Attack Scars Jerusalem’s Troubled Co-Existence”. The timely report was designed to foreshadow school-related terror attacks by Arabs. Lastly, on December 3, 2014, it was reported that an American teacher was stabbed to death in Abu Dhabi. The incident was evidently designed to link school teachers to the Middle East just prior to a school-related terror attack, most likely by the state-sponsored terrorists known as ISIS. Roughly a month later on January 8, 2015, it was reported that 4th graders plotted to poison their teacher. The report was evidently designed to foreshadow a school-related bio-chemical attack. Lastly, on February 4, 2015, it was reported that 2 students were shot at a Maryland high school. Taken collectively, these reports infer that a state-sponsored school-related terror attack is imminent. Back on January 4, 2015, Truther.org issued a terror warning entitled “Swiss CIA Plotting Wave of Terror Attacks in Europe—Spain #1 Target”. Although Spain was ultimately sparred, a wave of state-sponsored terror attacks ravaged Paris just three days later on January 7, 2015, killing 17 people. The same may happen in the wake of this particular terror plot, so beware. The impending attacks in Norway come on the heels of a foiled terror plot targeting Turkey (Dec 10), a foiled terror plot targeting Germany (Dec 23), a foiled terror plot targeting Italy (Dec 29), a foiled terror plot targeting Spain (Jan 4), another foiled terror plot targeting Spain (Jan 15), a foiled terror plot targeting the Chanel Tunnel (Jan 19), a foiled terror plot targeting the EU Parliament in Brussels (Feb 10), a foiled terror plot targeting England (Feb 21), a foiled terror plot targeting French trains (Feb 24), a foiled terror plot targeting Charles de Gaulle Airport in Paris (March 10), a foiled terror plot targeting Norway (March 14), a foiled terror plot targeting Germany (March 17), a foiled terror plot targeting Europe (March 20), a foiled terror plot targeting Spain (March 22 ), a foiled terror plot targeting England, and a foiled terror plot targeting the Eiffel Tower in Paris (March 25). David Chase Taylor is an American journalist and the editor-in-chief of Truther.org, a state-sponsored whistle-blower website. Taylor lives in Zurich, Switzerland where he is currently in the process of applying for political asylum since the release of The Nuclear Bible, a book credited with foiling a nuclear terror attack upon Super Bowl XLV in Dallas, Texas on February 6, 2011. Taylor recently authored Greenland Theory: Apocalypse Now, a book and website exposing the true power structure of the world, especially in respect to Greenland and its primary proxy state of Switzerland which is home to the CIA. 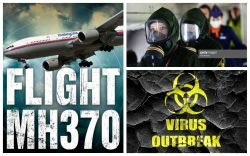 Taylor has also published The Bio-Terror Bible, a book and website exposing the global bio-terror pandemic planned for 2015. 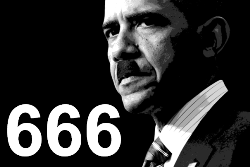 To date, Taylor has blown the whistle on over 100 state-sponsored terror plots, including the 2012 Democratic National Convention Terror Plot, the 2011 Super Bowl Nuclear Terror Plot, the 2014 Super Bowl Nuclear Terror Plot, the Terrorgate Scandal, the 2014 Memorial Day Massacre, the man-made asteroid attack planned for 2014, and the drone strike which killed “Fast and Furious” star Paul Walker. Taylor was also the first to expose Alex Jones’ treacherous links to STRATFOR and is noted for the 10 reasons why the Rosetta Comet landing was a hoax.